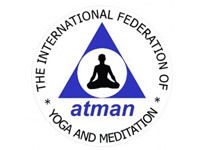 ATMAN International Teachers’ Meeting – Quarterly meeting of the members of ATMAN – The International Federation of Yoga and Meditation. Topics are important aspects regarding the coordination and collaboration within the federation, school administration, the transmission and application of the teachings as well news updates, lectures, presentations. All ATMAN teachers are cordially invited.